The Goose & Swan Monitoring Programme (GSMP) network is comprised of a variety of organisations, groups and individuals involved in goose and swan monitoring throughout the UK, and in other countries within the flyways of the UK’s goose and swan populations. The greatest strength of the GSMP is the tremendous and generous contribution of this network, with participants involved in activities such as ring-reading, counting and catching birds. Below are various resources and information for GSMP participants. Other news can be found in the GSMP section of News. Ideally all sites supporting Pink-footed Geese should be covered during the October and November counts, whilst those holding Iceland Greylag Geese should be counted in November. We encourage counters to carry out a count during September where British Greylag Geese occur together with the Icelandic birds so that IGC counts can be adjusted to take account of the likely number of British birds. Other preferential dates for local site monitoring: 17-21 November 2018, 12-16 January 2019 and 9-13 February 2019. The survey period for age assessments various between species; however, surveys are mostly carried out during the winter. See the breeding success page for further details. For Bewick’s Swans, please concentrate on December, whilst for Whooper Swans, please focus on January. 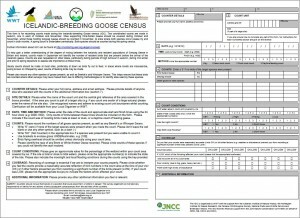 Submit your counts for the Icelandic-breeding Goose Census or National Goose and Swan age assessments using the online recording forms at WWT Watebird Monitoring Online. The site also enables you to view all the data that you have provided for these surveys. Further information about how to register to use the system are available on the site, together with other online guides to help you. The site is gradually being developed, with modules for Local Organisers and a mapping tool for logging count unit boundaries due to be added soon. If you have any queries about using the site, please contact us. GooseNews is the annual newsletter of the GSMP and is available to download from the Reports and Newsletter page. 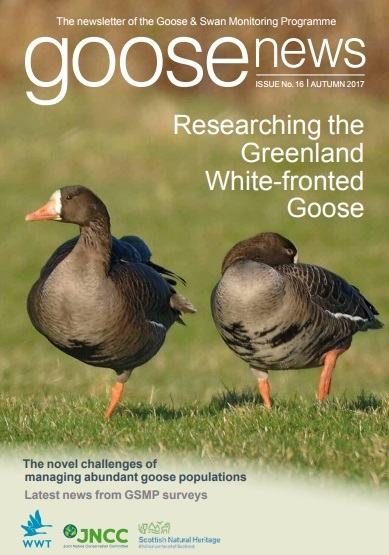 The newsletter contains articles on relevant goose and swan activities, reports from recent GSMP surveys, along with other research and conservation news related to goose and swan monitoring. We’re always looking for new stories to tell, as well as photographs and relevant news items to fill future editions of GooseNews. Therefore, if you have any ideas or if you would like to contribute to the newsletter, please contact the editor Colette Hall. 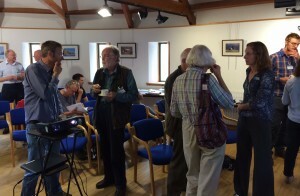 GSMP participants joined members of WWT’s Species Monitoring Team at WWT Caerlaverock Wetland Centre, Dumfriesshire, for a one day conference, which provided the opportunity to hear about and discuss various aspects of the GSMP. Further information on the day’s activities can be found here. New participants to the GSMP are always welcome and there are a number of different ways in which volunteers can take part. Monitoring numbers and distribution: There are a variety of GSMP surveys that are designed to monitor the size and distribution of the UK’s swan and goose populations; some are undertaken annually, whilst others are carried out periodically. These surveys require varying levels of expertise, but for the most part observers need to be confident in their bird identification and have reasonable experience of counting birds. For further information, please see the Abundance page. Monitoring breeding success: The annual reproductive success of each of the UK’s migratory swan and native goose populations is assessed through the GSMP, and involves observers recording the number of young birds present amongst flocks. The level of expertise required depends on the species involved, but counters must be confident in identifying first-winter birds and have reasonable experience in counting birds. Further information can be found on the Breeding success page. Reading rings of colour-marked birds: There are a number of goose and swan studies that involve birds being marked with coloured leg rings or neck collars. 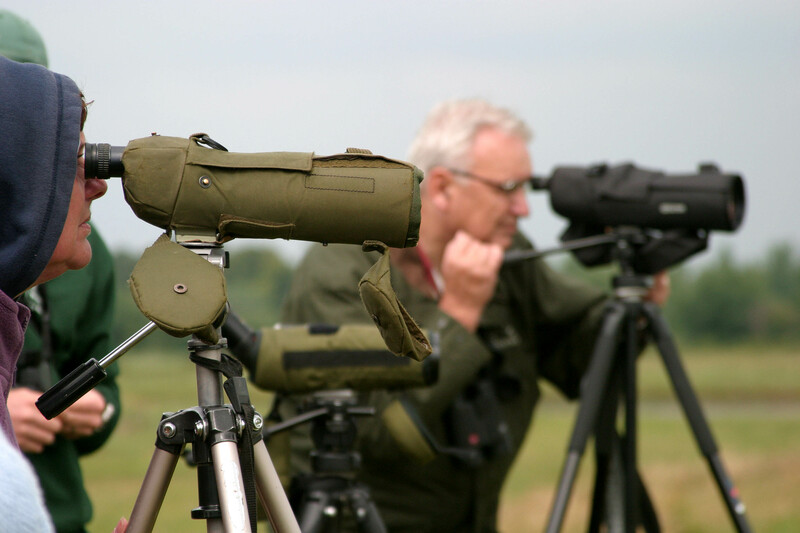 This enables researchers to monitor the birds’ movements both locally and further afield, and survival rates; however, it does rely on birds being resighted and reported to the organisers. Getting involved simply requires observers to report any sightings of colour-marked birds, and information on how to do this can be found on the Colour-marking page. 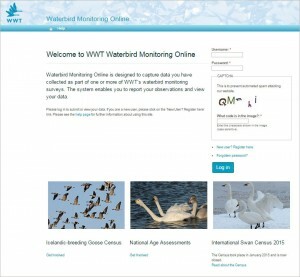 If you are interested in getting involved in any aspect of the GSMP, please see the relevant survey page for specific contact details or contact WWT’s Monitoring Unit.